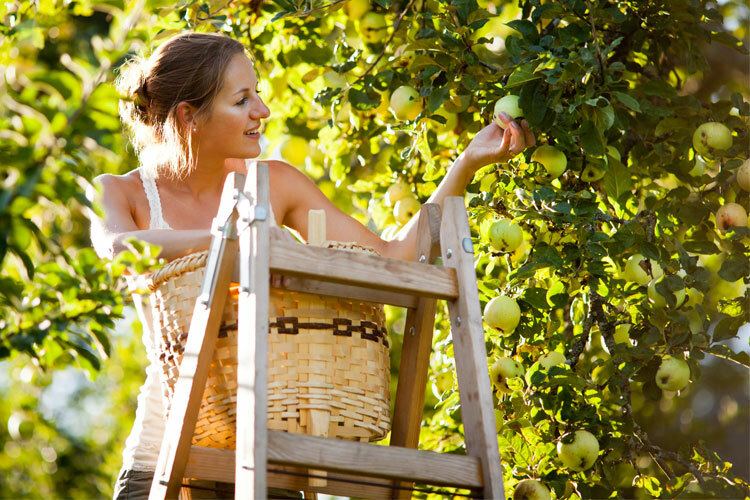 The 7 Best Apple Orchards in West Virginia! There is nothing better than biting into a crisp, sweet apple or taking the first bite of a fresh apple pie right out of the oven. The Shenandoah Valley, which includes the Eastern Panhandle of West Virginia, is a rich agricultural center for fruit farms and is home to a number of apple orchards and farmers markets. Below are seven of the best apple orchards in the Mountain State, and several have other fresh fruit and produce that visitors can pick and purchase. Growing fine fruit since 1972 is what the sign says as you drive down the lane to Ruggles Orchard. Nestled in the beautiful hills in Levels, West Virginia, this family owned and operated farm has an incredible variety of both apples and peaches, as well as sweet and sour cherries, pears, and plums for canning or eating fresh. You can purchase them already picked or call for picking times if you want to get them right from the orchard. Local farmers markets also carry their fruit. Open every day year-round, Orr’s Farm Market in Martinsburg, West Virginia is the place to go if you want the experience of picking your own strawberries, blueberries, cherries, raspberries, grapes, or flowers. This family owned farm raises most of the produce sold here, but what they don’t raise themselves, they get from other local sources. Honey, jams, dairy products, a variety of bakery items, and much more is available in this market. This 50-acre farm and orchard located in Kearneysville, West Virginia, was once part of the land known as Traveller’s Rest, and is the second oldest orchard in the state. Rellim Orchard is also known for having one of the best selections of apples each year (29 varieties), and people flock to the apple barn to buy freestone peaches, nectarines, and cherries in season. Looking for a great family adventure? Visit Morgan Orchard in Sinks Grove, West Virginia and make a day of it by picking your own apples, berries, peaches, or vegetables. If that’s not quite your idea of a fun day, you can take a picnic and enjoy the beautiful scenery, then stop by the orchard store and buy it ready picked. If you get there at the right time, you can get freshly pressed apple cider, also available at local farmers markets around the state. They offer a limited delivery of fresh produce, and partner with community organizations to host fundraisers. Known for great fresh produce, Spring Valley Farm and Orchard in Romney, West Virginia is family owned and operated with a wide variety of fruits and vegetables covering over 355 acres. These folks take customer service to a new level by their friendliness, quality produce, and reasonable prices. Check their Facebook page for the picking schedule. If you want high-quality, homegrown produce, 400-acre Butler’s Farm Market in Martinsburg, West Virginia is the place to go. Carrying a staggering selection of juicy peaches, nectarines, apples, and other produce like sweet corn, you can also find delicious ice cream and fresh milk, homemade pies at reasonable prices at this fifth-generation family-owned farm. Open mid-March to mid-November every day except Sunday, Butler’s was awarded the West Virginia Conservation Farm of the Year in 2012. Taylor’s Farm in Inwood, West Virginia, is a veteran-owned business that has been in operation since 2014. Offering state and local wines, honey, jams and jellies, and fruit butters, Taylor’s produces over 130,000 bushels of apples, 5,000 bushels of peaches, cherries, plums, and nectarines along with other fresh produce. A strong support of local farms, the market carries the popular Oliverio’s Peppers. View more West VirginiaApple Orchards.